This entry was posted in Fort Bragg California, Humor, Purity Market, Self-Help, Small Town and tagged Nuns by Kate. Bookmark the permalink. Really fine piece, with excellent photos. 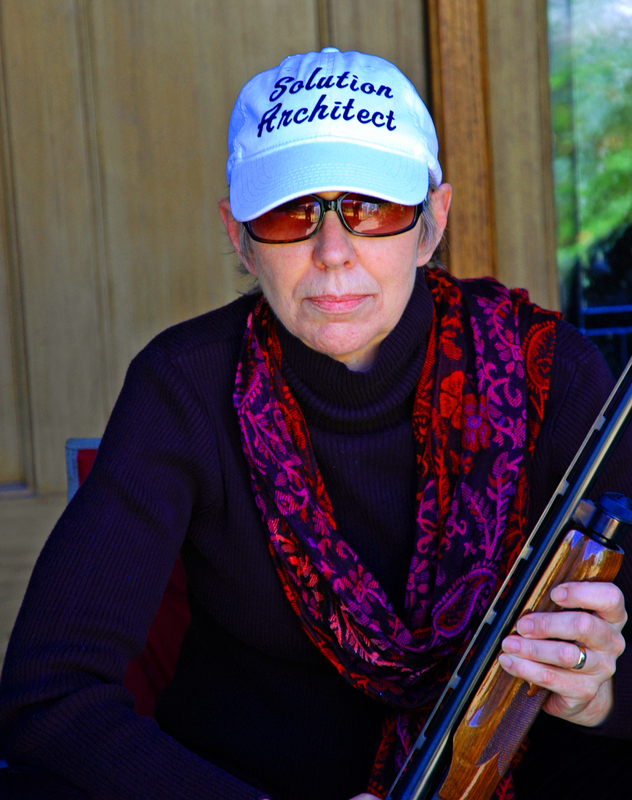 I especially liked the “Solution Architect” with shotgun. Kate L.
After so many years, it felt so natural to cradle that shotgun. Stay tuned for more adventures of this Solution Architect . The term is so much more palatable than Control Freak, don’t you think? Whoa! I love the photos, Kate. 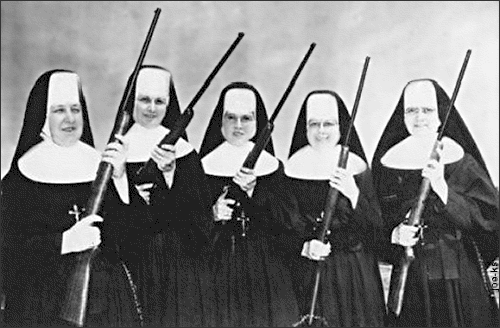 Nuns with guns, the way it should be. Don’t know if you got my reply because I think I just figured out how to do it! Here it is just in case: Thank you darling! Glad you’re following The Purity adventures from a foreign land. Please note that one of my old gym socks is sticking out of the ejection port. The chamber is stuffed with my old Fruit of the Looms. Her guard dog is deaf as a cob and is a sucker for anyone who looks like he might have something to eat in his pocket. Speaking for myself, I sleep well a night knowing that the Solution Architect is on the clock. Watch it buddy! Despite your best efforts to hide it, I found the shotgun! For a long time I thought I wanted to be a nun. Then I realized that what I really wanted to be was a lesbian. Didn’t your parents tell you when you were little that you could grow up to be anything you want? There’s still time. This is by FAR your best one yet–love it and adore the photo!! Thank you my Number One Fan! Love you, too, dear Mary. I thought the five nuns in that last photo were probably the first of the 72 virgins promised to Muslim martyrs. Wouldn’t that be fitting!